On “The Five,” a new afternoon panel on Fox News, the group discussed President Obama’s comments last week at the University of Maryland where he talked about the right-left media divide. 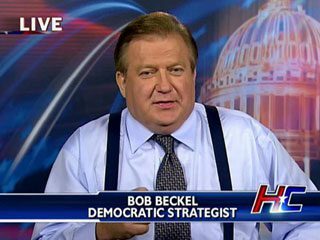 “President Obama … blames the media for the divide going around the country,” said liberal commentator Bob Beckel. “He said liberals only read the New York Times, conservatives only watch Fox.